Most organizations need the ability to easily collaborate and share information. Users of E-Business Suite Applications need to easily create document folders, file documents related to EBS applications (e.g. AP, AR, Purchasing, Projects) efficiently, and provide simple and quick document retrieval options for all stakeholders. 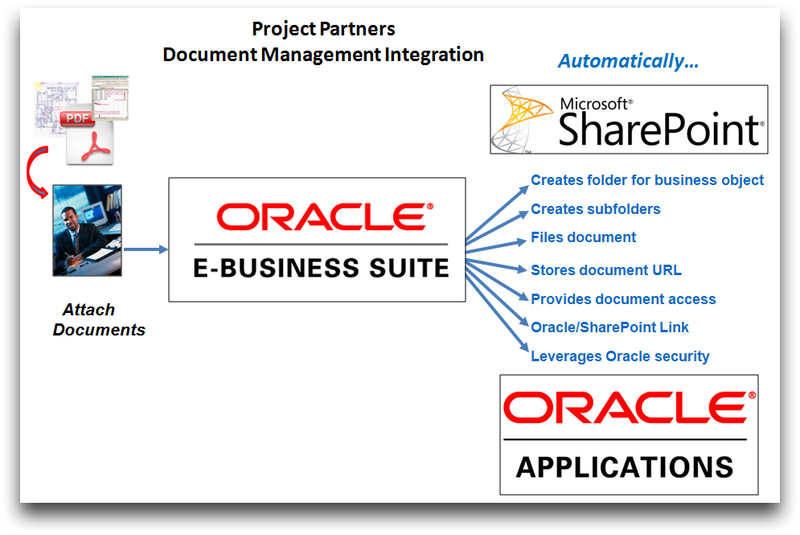 Project Partners Document Management Integration easily creates folders and subfolders in Microsoft SharePoint, allows you to dynamically move attached documents in Oracle to those folders and automatically replaces the attached document in Oracle with a link to its new location in SharePoint. 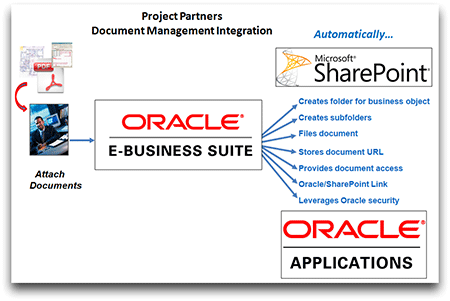 With a simple step, the integration between your documents in SharePoint and your attachments in Oracle is automatically complete based on the document standards you have implemented within your organization, thereby expediting the document collaboration process, improving user productivity, promoting work sharing and reducing filing and naming errors. In this On-Demand demonstration you will: 1) Learn about the business requirements our customers had that led us to develop this integation, 2) See the steps required to perform this integration yourself versus the ease of using Project Partners Document Management Integration instead, and 3) See a demonstration of the integration provided by Document Management Integration.